Where Have All the Sea Otters Gone? 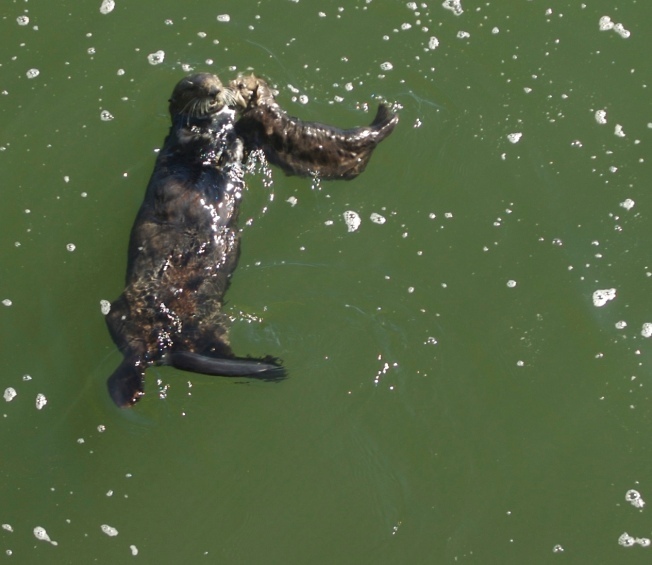 Marine biologists are seeking answers behind another decline in the population of California's southern sea otter, which is on the federal list of threatened species. Researchers with the U.S. Geological Survey say that after a year of steady recovery, the otter population along the Central California coast has declined for the second consecutive year. The USGS annual survey found the latest three-year average for the otter population dropped to 2,711 -- a 3.6-percent drop from last year's three-year average. The number of otter pups dropped by 11 percent. Scientists say the decline could be linked to a number of human and natural factors, including heavy storms, infectious disease and shark attacks.